Myanmar sits between India and China, a key strategic position combined with extraordinary natural resources. Historically, in its post-British colonial era, Myanmar has “danced” in its foreign policy and sought to maintain its neutrality, wary of foreigners. 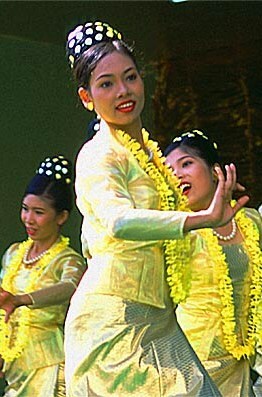 Myanmar’s dance continued throughout the Cold War as a strategy necessary to preserve its own sovereignty. This wariness extended to Western diplomats and China alike. However, as the General Than Shwe/Junta era began to take hold and the resulting U.S. sanctions began to bite, Myanmar “leaned” heavily towards China as its sanctions bypass route. The new Thein Sein government started to shake the West with its political reforms and the release of political prisoners, including Aung San Suu Kyi. These reforms also included legal changes that would now permit Aung San Suu Kyi to run for political office. Indeed, her party, the National League for Democracy, has seized upon this legal change, re-registered under the new law, and Aung San Suu Kyi herself has formally announced that she would run in the next elections. Then there is the pushback against China commenced with the abrupt decision to suspend the construction of a controversial China-backed hydroelectric dam that would have flooded an area the size of Singapore. Given the magnitude of Chinese investment and influence in Myanmar, this has been a stunning move. The question then becomes, what is the next step in Myanmar’s dance? That step will be heavily influenced by Myanmar’s bid to assume its leadership bid as ASEAN’s chair in 2014. However, Myanmar’s bid for the 2014 ASEAN chairmanship means that it will have to present itself as an ASEAN member and not China’s little client. In order to accomplish that by 2014, we are going to see a number of previously unthinkable reforms coming out of Naypyidaw. The notion that Suu Kyi will now run for election is but one example of the previously unthinkable. Indonesia, interestingly, is playing a key role from its ASEAN leadership chair position, steering Myanmar in a reform-minded direction so as to position and prepare Myanmar for its own 2014 ASEAN chair. Coupled with Jakarta’s efforts, the current United States efforts on the” pivoting” front to re-engage with Asia, such as entering the East Asia Summit and cultivating stronger ties with Southeast Asia, also contains a strategy designed to encourage Myanmar into further reforms. To that end, Secretary of State Hillary Clinton recently dangled the bait that Myanmar would find a partner in the U.S. if further reforms were made. The possibility of removing sanctions and promises of cooperation will assist in expanding U.S. influence with Myanmar,and likely move the country into a more balanced relationship between the U.S. and China. Myanmar took Clinton’s bait, Suu Kyi and her party are now planning to participate in the next elections, and Clinton herself is now “pivoting” and enroute to Myanmar. The winds are now shifting in the U.S./Myanmar relationship. New partners and new steps are now in play. The China relationship is still out there. While there is a certain frostiness to the current relations between China and Myanmar, it must be remembered that Myanmar must live with China next door and its dance in the future will always need to maintain considerable weight on that foot.